An international rating institution forecasts Kazakhstan's national economy to see weakening amid the ongoing economic and financial crisis in the world, as well as drop in oil prices and depreciation of national currencies in neighboring countries, in particular in main trade partner Russia. 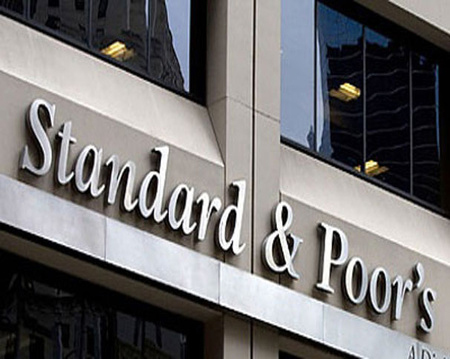 Standard & Poor's ratings service's recent report reads that the Central Asian nation will also witness stagnation of economy in 2016 due to weaker exports and shrinking consumption. The report titled "Kazakh Banks Face High Risks In 2016 From Thinning Capital Cushions As The Economy Stagnates" states that this backdrop, together with a volatile currency, complicates operating conditions for the country's banking sector. "We expect depressed economic conditions and low earnings will restrict banks' internal capital generation and increase the need for new capital injections from shareholders," Standard & Poor's credit analyst Annette Ess said. However, due to shareholders' limited willingness and ability to provide new capital, declines in the sector's capitalization are unavoidable. Thus, Standard & Poor's expects continued systemwide pressure on the funding and liquidity of Kazakh banks in 2016, with an increasing percentage of nonperforming loans. The rating service's experts also view the country's banks' pronounced asset and liability mismatches in foreign currencies and tight tenge liquidity as additional risk factors to the banking system's stability. "We anticipate that negative rating actions will outnumber positive ones, given that seven of the 19 commercial banks we rate in Kazakhstan have a negative outlook," the report said. Earlier, Standard & Poor's affirmed 'BBB-/A-3' ratings on the country on strong fiscal and debt position. The ratings remained constrained due to the country's moderate level of economic development, high dependence on the hydrocarbon sector, and limited monetary policy flexibility. Kazakhstan's economy depends heavily on the oil sector. It accounts for an estimated 20 percent of GDP, 50 percent of fiscal revenues, and 60 percent of exports. Due to suppressed global oil prices, Standard & Poor's expects GDP growth of Kazakhstan to stagnate or contract modestly in 2016. Meanwhile, the experts of the rating service expect a moderate economic recovery in Kazakhstan in 2017-2019, as consumption and investments gradually pick up. The current account deficit will average two percent of GDP in the country in 2015-2017, compared with a surplus in 2010-2014. Also, despite the current account performance weakening, the reserves will stay broadly stable in 2016-2017 as they will be supported by financial account inflows. Meanwhile, there are several positive signs in Kazakhstan's economic recovery in 2017-2018. The World Bank's Impact of China on Europe and Central Asia report reads that the country's GDP growth will pick up to about 1.9 percent in 2017 and 3.7 percent in 2018, assuming that average oil prices will recover to $48 per barrel in 2017 and to $51.4 per barrel in 2018. Kazakhstan is also expected to achieve GDP growth after the Kashagan offshore oilfield commences production on schedule. Economists predict that rising oil output and an improving external environment are expected to contribute to a broad-based economic recovery in Kazakhstan, starting with the oil sector and related services. The Kazakh government's anti-crisis measures, which are being taken to prevent negative consequences of the rapid decline in oil prices and volatility in the global markets, have shown positive results. The country's National Bank reported that Kazakhstan's foreign debt has dropped by almost $4 billion (2.5 percent) and stood at $153.5 billion by late 2015. The country's foreign debt ratio to GDP stood at 83 percent by late 2015. The depreciation of the national currency, the tenge was among the main obstacles hindering the country's economic performance. However, the Kazakhstan Stock Exchange reported that the tenge has strengthened against the USD up to a record level since early 2016. The official exchange rate of tenge was 337.17 KZT/USD on April 11 as compared to 340.94 KZT/USD on April 8. Furthermore, Kazakhstan's gold and currency reserves, including gross reserves of the National Bank and the National Fund's assets increased up to $92.81 billion in January-March 2016 compared to $91.38 billion at the beginning of the year. Experts assure that Kazakhstan, thanks to the measures taken in time, will be able to cope with existing economic problems and adapt to new economic realities existing in the world.